Interlocked (16842 trailer views) - PLAY IT! 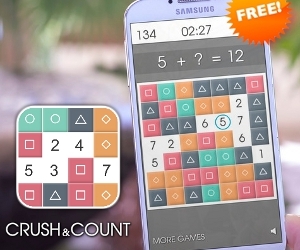 Description: Wrap your mind around the next intensive puzzle game ? Interlocked! A 3D puzzle game with a chilling atmosphere. You know those puzzles consisting of a few wooden blocks that are impossible take apart? Then you know Interlocked. Each level, you are given a unique 3D puzzle consisting of blocks that hold each other together.